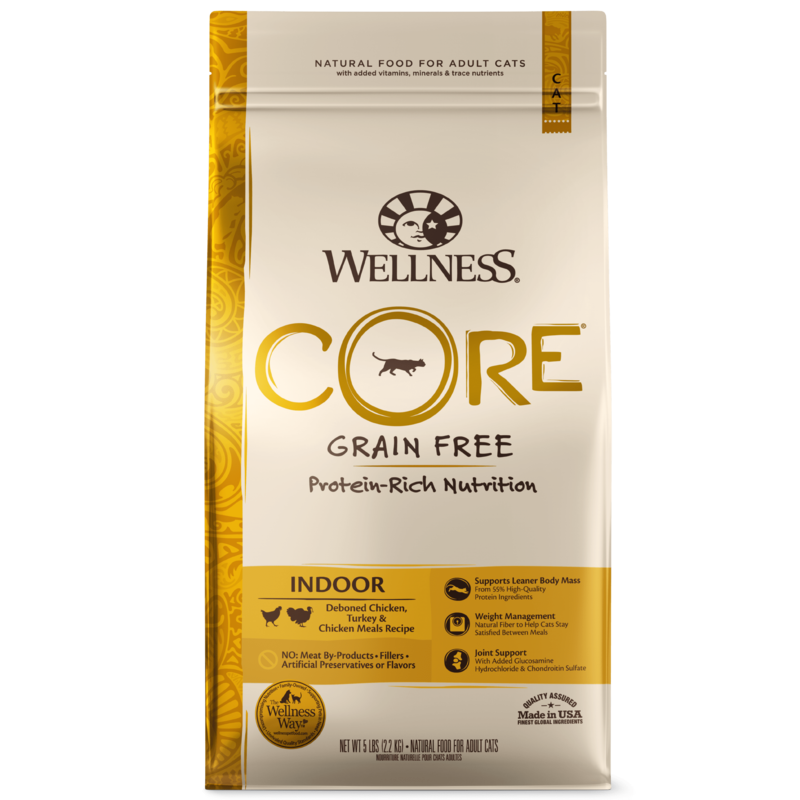 Wellness® CORE® Hearty Cuts in Gravy Indoor Shredded Chicken & Turkey Recipe Cat Food is formulated to meet the nutritional levels established by the AAFCO Cat Food Nutrient Profiles for adult maintenance. 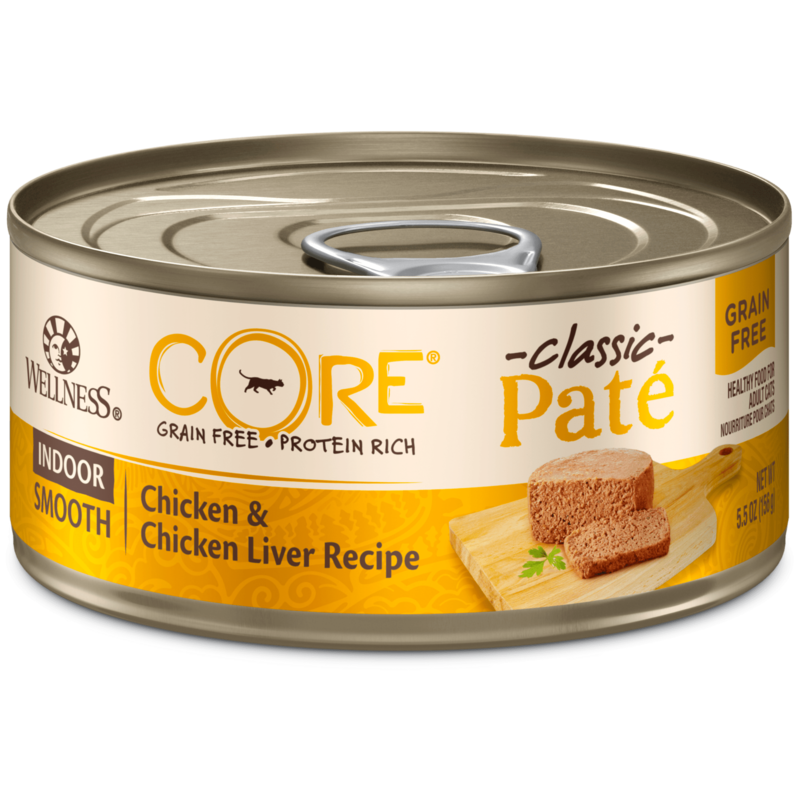 Adult: Feed 1¼ cans per 7 lbs/3.2kg of body weight per day. 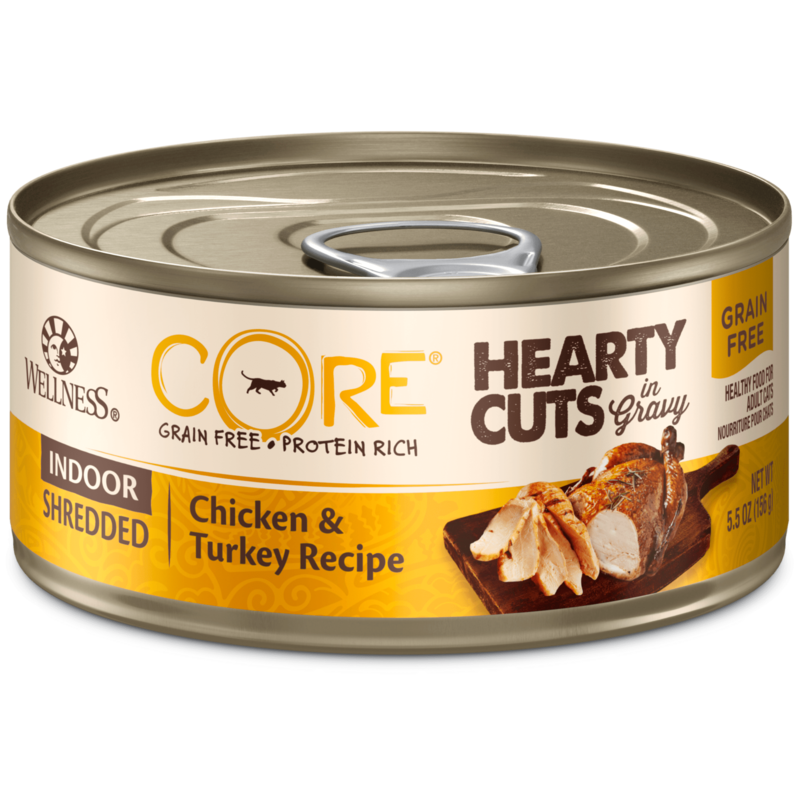 This food contains 925 kcal per kilogram or 144 kcal per 5.5oz/156g can ME (metabolizable energy) on an as fed basis (calculated).